Fully domesticated and irrepressably spontaneous. Before Thanksgiving, I was gung-ho: this year, by virtue of calendar “magic” we had an extra week between Thanksgiving and Christmas, and I was determined to take full advantage of it. Alas, it has simply allowed me to procrastinate by another several days. I should have known better. Last Saturday, Mr. Official and I raced to see who could deck their tree in the quickest twinkling of an eye. I tackled the kitchen tree while he took on his UT tree. And he did a smashing job – in fact, I think he might have found himself a new annual job. Last big shopping/wrapping push tomorrow. Last decorating push to finish the dining room and other little nooks and crannies on Wednesday. I think part of my procrastination has stemmed from a desire to uncomplicate Christmas. I love all the hoopla and festivities that surround the holidays, but I’m also coming to appreciate that sometimes less IS more. So now that we’re down to the last few days, only the most important (to me) to-do’s are going to get done. The rest was arguably just not that important. It should make the take-down and stowing away a little easier at least! Not THAT list…I leave those calls to the big guy in the red suit. This is my Christmas confectionary list. I’ve always loved eating and making sweet treats, so this is the most wonderful time of the year, for me anyway. This year’s list is a little more ambitious than last, which centered around the tried-and-true recipes of Christmases past. All-told, about a baker’s dozen different treats will be making their way into freezer containers and eventually piled onto trays for neighbors, Mr. Official’s work group, and a few friends. The rest will get eaten by us…some will undoubtedly get filched out of the freezer by sneaky eaters, while others will be served at the end of family dinners. So what’s on YOUR Christmas list this year? Ever had a homemade marshmallow? As Ham summed it up, they’re kind of messy, but good. 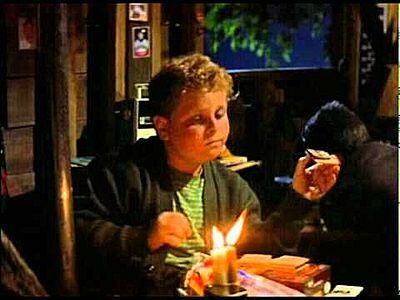 And I would add, the only thing better than a s’more is a s’more made with homemade mallows. There is some work involved – you’ll need a candy thermometer (see tip below) and a heavy-duty mixer (or a REALLY strong bicep to beat these things.) But the end result is a marshmallow that is creamier and smoother than anything Stay-Puf or Jet could dream of making. Each year I make a batch, cut them into squares and package a few to tuck in with hot cocoa mix and a cute Christmas mug for each of my third grade Sunday School students. Sweet dreams! The leftover squares (and there are always a few) are coveted and fought over by middle son and swimmer girl to float in their hot chocolate while they last. These sound complicated (most candy-making recipes do), but it’s like riding a bike – it’s easier than the instructions sound. Place 1/2 cup water in a large mixing bowl. Sprinkle the unflavored gelatin over the top and let sit. Lightly oil the bottom and sides of a 9×13 pan (I prefer a metal one with straight sides, but glass pans work, too.) Place a piece of parchment paper in the oiled pan, with at least an inch or two of overhang on the short sides. Lightly spray or oil the parchment, then sprinkle lightly with a teaspoon or two of powdered sugar on the bottom. (You can use foil instead of parchment, but parchment is a lot easier to lift and peel away.) If you want to make peppermint marshmallows crush or chop peppermint candies with a rolling pin or heavy-duty food processor; set aside. Place the other 1/2 cup of water in a heavy-bottom 1 1/2 or 2 quart saucepan. Add sugar, corn syrup and salt. Over medium-low heat, bring to a boil, stirring until sugar is dissolved. Once it begins to boil, cover with a lid and allow to boil unstirred for 3 minutes. This will allow the moisture to condense and wash off any sugar crystals on the sides of the pan. Working quickly, scrape mixture from bowl into prepared pan and smooth top. It will be hideously sticky and get on everything. Just keep going until it’s done. If you’re making peppermint mallows, sprinkle the chopped peppermints on top and press gently into mixture. Allow to cool for several hours or up to 12 hours. Turn out on cutting board or countertop lightly dusted with powdered sugar and cut. I use a pizza roller to cut strips lengthwise, then into squares. Mine come out to about 1 1/2 inches square. Roll your pizza cutter and the fresh-cut edges in powdered sugar to keep things from getting too sticky. To store, place in airtight container with a layer of waxed paper or parchment in between. They will keep at room temperature for up to two weeks. *A tip for better candy-making. A friend alerted me to this helpful tip and I’m very thankful – it saves a lot of aggravation and failed candy. Cheap candy thermometers are notoriously unreliable but they are still useful kitchen tools. Regardless of how cheap or expensive, you should calibrate yours before you plunge into candy-making. Here’s how: fill a 2-quart pan with water and bring to a rolling boil. Once the water begins to boil, insert or clip on the thermometer and monitor it. It may take up to ten minutes but once it tops out, you’ll know how close or far off yours is from 100 C or 212 F. (in fairness, some of the difference is barometric pressure.) Mine was 6 degrees off this year; I simply adjusted my recipes by 6 degrees so I didn’t overcook the candy. I’m not sure how I’m going to pull off all the pre-Christmas to-do’s on my list while checking in on him several times aday, let alone get his list done, but somehow we’ll make it work. The things that are most important will get done, and everything else will wait or not get done at all. Today is the third and final spotlight on holiday confections, which I will wrap up with two more favorites: almond crescents and homemade peppermint patties. The almond crescent cookie recipe has been in our family for a very long time; the peppermint patty recipe came to me from a davesgarden.com member back in 2001. They are both worth the effort to try. Mix together 1 2/3 cup almonds, flour and sugar. Work in butter and vanilla. Chill for one hour, then form into 1-inch balls and roll in remaining chopped almonds. Form into crescent shapes (it takes a little practice to make the half-moons), and place on ungreased cookie sheet. Bake at 350 for 12-15 minutes. Cool on pan for ten minutes, then roll in powdered sugar. Makes about 2 1/2 dozen cookies. In mixing bowl,combine powdered sugar, butter, vanilla, peppermint extract and milk. Shape into 1-inch balls and place on waxed-apper lined cookie sheets. Flatten with a drinking glass to 1/4 inches thick. Cover and freeze 30 minutes. In a double boiler over medium-low heat, melt chocolate chips and shortening together. Dip patties in melted chocolate and place on waxed paper to harden. Makes about 5 dozen. Like last week, this week’s lineup pairs up a somewhat involved, labor-intensive cookie, and a quick microwave candy. 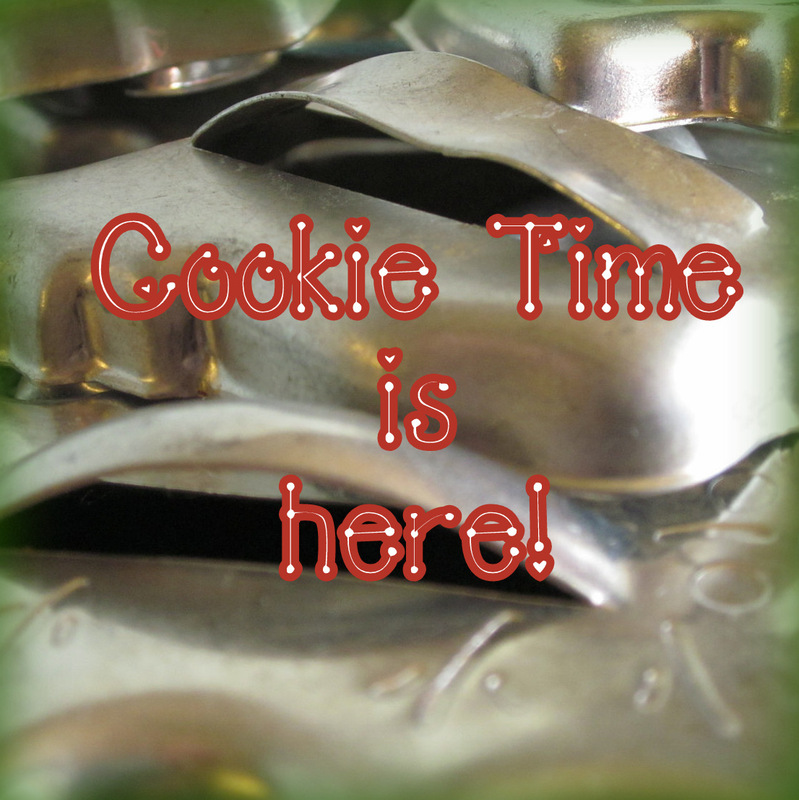 The cookies are among those I make every year, and have for a very long time. The original recipe called for using jelly or jam in the center, but I like the look, texture and flavor of glaceed cherries, although you have to work quick to wedge them in as soon as the cookies are removed from the oven and the dough is still soft. The pralines were an experiment many years ago, and came out surprisingly authentic-tasting. But my Cajun friends snub them when they hear how I make them. One of these days I’ll sneak them past and they won’t know what hit ’em. Line a cookie sheet with foil and spray with cooking spray. Also spray a large tablespoon for dropping candy; set it aside. When it reaches this stage, remove from microwave and quickly stir in butter and vanilla. Add nuts and let stand for 2 minutes. Stir vigorously for two more minutes until mixture thickens and turns opaque. Working quickly, drop by spoonfuls on greased foil-lined cookie sheet, using the greased spoon. If mixture sets up before you have finished, microwave for 30-45 seconds, then continue dropping until done. Let stand about 1 hour until completely cooled. Remove from foil and store in airtight container with waxed paper between layers. Makes 20-25 pralines. Next week I hope to have some pictures of all the goodies I listed here on their trays, ready to go spread joy to friends and neighbors. It’s cookie and candy making time! Here are two of my favorites. One dates back to my grandma’s day, and a wonderful new recipe I snagged last holiday season. Cream butter and sugars together. Add egg. Stir in flour and baking soda; mix well and chill for at least 1/2 hour. While dough is chilling, combine dates, water and 1/4 cup sugar in a heavy saucepan, over medium-low heat. Bring to boil and boil for five minutes or until mixture has become dense and sticky. Remove from heat and stir in almonds. Let cool to room temperature. On waxed paper, roll out dough to 10×16 rectangle. Smear with date mixture and roll up tightly starting at wide end. Use waxed paper to keep dough intact as you ease it into a roll. Wrap tightly and refrigerate for another hour or overnight. Cut into 1/4-inch slices and place on ungreased cookie sheet. Bake at 350 for 12-14 minutes or until golden (but not hard). Makes 6 dozen cookies. Cover a cookie sheet or shallow jellyroll pan with foil, spray lightly with Pam or other cooking spray. Heat oven to 300 degrees. Place pretzels in a single layer on the sheet, leaving a bit of space between them. Unwrap and place a Rolo candy on each pretzel. Place in oven and heat for 2-3 minutes (just until candies soften.) Remove from oven and immediately press a pecan half on each, pressing down to force chocolate and caramel into the pretzel. Allow to cool completely and refrigerate or freeze until ready to serve. Allow to come to room temperature. Holiday Sprint Week 6: How Sweet it is! The tree in the den is up, the weather has turned cold, and if that’s not enough, the calendar declares it is time for confecting to commence. Yes, that is a real word, so bring on the baking and candy making. Middle child’s eyes lit up when he saw the towering stack of pecan and walnut bags on the counter a couple weeks ago. He knows it means major snackage is coming. It’s no wonder this is called the most wonderful time of the year. I have always loved baking, and Christmas is the perfect excuse to make an unholy amount of sweet treats to share. Not your run-of-the-mill cookies, these are once-a-year treats, made with love using recipes handed down from family and friends. If I play my cards right, I can optimize the use of my kitchen appliances and oven to keep everything moving assembly-line style and have it all “in the can” in short order. This Wednesday I’ll post a few of my all-time favorite holiday recipes, and I hope you and yours enjoy them if you try them out. Throroughly domesticated and irrepressibly spontaneous.